New research in mice reveals that mesenchymal stem cells (MSCs) help rejuvenate skeletal muscle after resistance exercise. By injecting MSCs into mouse leg muscles prior to several bouts of eccentric exercise (similar to the lengthening contractions performed during resistance training in humans that result in mild muscle damage), researchers were able to increase the rate of repair and enhance the growth and strength of those muscles in the exercising mice. 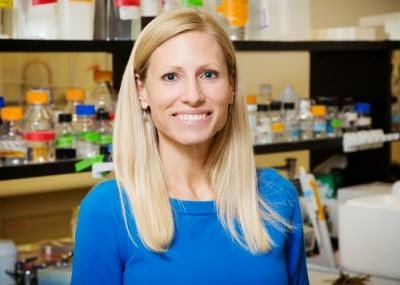 The findings, appearing in the journal Medicine and Science in Sports and Exercise, may one day lead to new interventions to combat age-related declines in muscle structure and function, said University of Illinois kinesiology and community healthprofessor Marni Boppart, who led the research. "We have an interest in understanding how muscle responds to exercise, and which cellular components contribute to the increase in repair and growth with exercise. But the primary goal of our lab really is to have some understanding of how we can rejuvenate the aged muscle to prevent the physical disability that occurs with age, and to increase quality of life in general as well." she said. 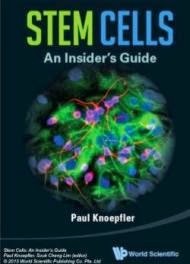 Mesenchymal stem cells occur naturally in the body and may differentiate into several different cell types. They form part of the stroma, the connective tissue that supports organs and other tissues. MSCs also excrete growth factors and, according to the new study, stimulate muscle precursor cells, called satellite cells, to expand inside the tissue and contribute to repair following injury. Once present and activated, satellite cells actually fuse to the damaged muscle fibers and form new fibers to reconstruct the muscle and enhance strength. "Satellite cells are a primary target for the rejuvenation of aged muscle, since activation becomes increasingly impaired and recovery from injury is delayed over the lifespan. MSC transplantation may provide a viable solution to reawaken the aged satellite cell." Boppart said. Satellite cells themselves will likely never be used therapeutically to enhance repair or strength in young or aged muscle "because they cause an immune response and rejection within the tissue," Boppart said. But MSCs are "immunoprivileged," meaning that they can be transplanted from one individual to another without sparking an immune response. "Skeletal muscle is a very complex organ that is highly innervated and vascularized, and unfortunately all of these different tissues become dysfunctional with age. Therefore, development of an intervention that can heal multiple tissues is ideally required to reverse age-related declines in muscle mass and function. MSCs, because of their ability to repair a variety of different tissue types, are perfectly suited for this task." Boppart said.